The execution of Baseball Skill Drills are quite varied and pertain to a large spectrum of skills and abilities. Most everyone has heard the cliché “Practice makes Perfect.” Well, I don’t know if that’s absolutely the truth, but I can guarantee you “Lack of Practice” will definitely result in being Non-Perfect. Drills are the mechanisms in which to expose players to the skills they will be required to have in order to play the game well. Doesn’t matter the sport, cricket to wrestling, there are specific skills required to compete. 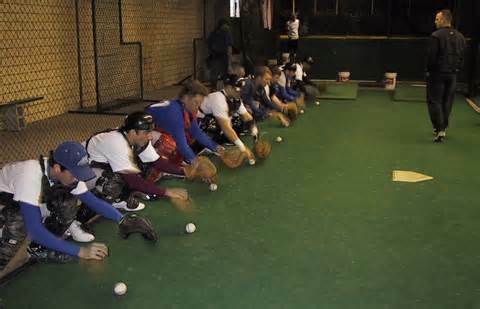 In baseball there are position specific drills and general skill drills. In other words, every player needs to know how to catch a fly ball, but only the catcher is required to know how to block a wild pitch. Practicing and executing the following drills will greatly enhance your team’s skill level. The drills are designed to develop every aspect of a player’s game, as even if the player isn’t a catcher blocking wild pitches, he needs to know what the catcher will try to do and how it affects what he should do. The drills are in no particular order or position specific, which is partly by design. If you’re an infielder, you’ll be tempted to only review the “Infield Drills” lessons, although outfield and pitching drills will directly affect you also. The drills are guidelines, proven successful, but feel free to expand / modify any drill to fit your particular need.